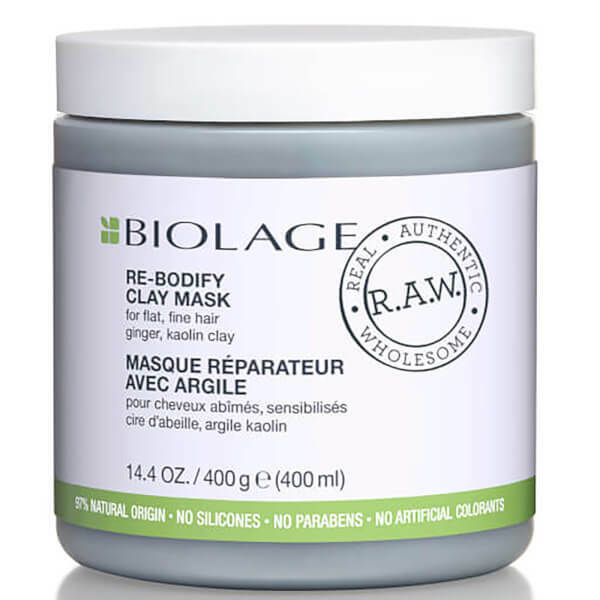 Bring limp, lifeless locks back to life with the Biolage R.A.W. 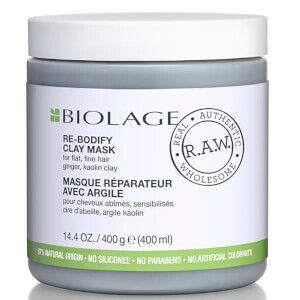 Re-Bodify Mask. Based upon a nutrient-rich natural blend, the rich treatment cocoons hair with essential moisture and vitamins, promoting enhanced thickness and vitality. Enriched with extracts of Ginger and Kaolin Clay, it improves manageability and builds body for superior volume and density. After shampoo, apply to wet hair. Leave in 5 minutes. Rinse thoroughly. In case of contact with eyes, rinse them immediately.